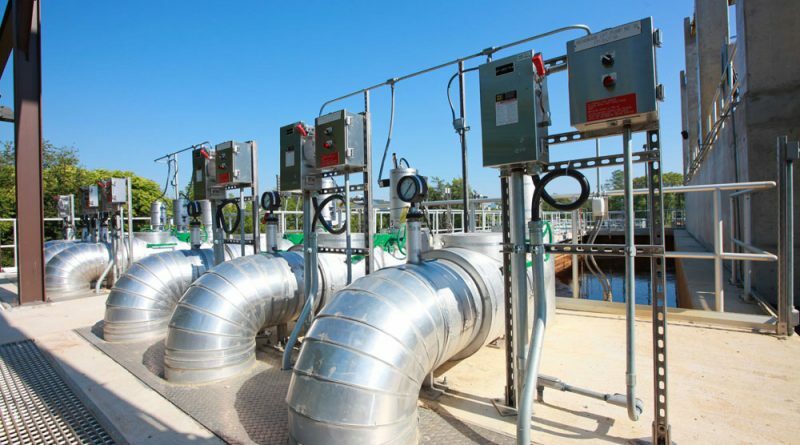 With a wastewater treatment plant that has the capacity to treat hundreds of thousands of gallons of sewage more than what’s needed, the Town of Purcellville is looking to become a regional service provider in western Loudoun. Talks of allowing Hamilton and Hillsboro to hook up to Purcellville’s Basham Simms Wastewater Facility began last year, when Purcellville Mayor Kwasi Fraser, Hamilton Mayor Dave Simpson and Hillsboro Mayor Roger Vance started tossing the idea around with an understanding that Purcellville’s wastewater system has excess capacity and that the smaller towns’ systems are outdated and suffering. Built in 2002, the Basham Simms plant has the capacity to treat 1.5 million gallons of sewage each day—a capacity that’s 62 percent more than the town’s 575,000-gallon daily usage average. Unlike Purcellville and Hamilton, Hillsboro doesn’t have a wastewater treatment plant. Instead, residents depend on more than 40 individual systems that, on average, are about 30 years old, with some of the oldest dating back to the 1950s. Those include about 30 conventional on-site drainfields and a handful of pump and haul systems, alternative on-site sewage disposal systems and alternative discharging sewage systems. Vance said the idea to connect with Purcellville’s wastewater system arose late last year, when a feasibility study on Hillsboro’s wastewater system conducted by the Dewberry consulting firm and Loudoun Water revealed three ways that the town could make improvements—install a treatment plant with either a surface or subsurface disposal system, or install a pump station and hook up to Purcellville’s Basham Simms plant. Vance said that while the town initially thought that a treatment plant with a subsurface disposal was the way to go, discussions eventually led council members to realize that connecting with Purcellville could be a better option, since it would cost much less in the long run. “It really is the most feasible option,” he said. He said that connecting with Purcellville should cost about $7.5 million. Of that amount, about $4 million would be needed to install the pump station and to run a 4-inch, low-pressure force main about 4 miles south. The remaining amount would pay for a town sewer line that will be installed as part of the town’s Traffic Calming Project this summer, which the town received a $2 million county grant to help pay for. Vance said the 22,500-foot sewer line could be installed 4 feet deep alongside of Hillsboro Road within the VDOT right-of-way and with the county’s approval. If the deal works out, Vance said Hillsboro would flow about 20,000 gallons of wastewater per day and that the town would most likely pay for the pipe’s installation in part with federal, state and local grant money. He estimates ongoing operation and maintenance to cost about $22,000 annually. Hamilton’s wastewater plant, located about 1,000 feet north of the town office, has a daily capacity of 160,000 gallons. Simpson said that the plant, however, is old and running inefficiently, noting that last year’s record rainfall caused additional in-flow problems. He said it would cost the town more than $10 million to build a new plant, and a more cost-effective solution would be to spend much less to install a sewer line to connect with Purcellville’s wastewater system. Simpson said that Hamilton would most likely pay for the new sewer line, while Purcellville would probably pay for its ongoing maintenance. He said that it could run along Colonial Highway within the VDOT-right-of-way and that county approval would be necessary for the stretch of about 2,000 feet where the pipe might run through county-regulated land. Simpson said that while discussions of the idea are preliminary and no numbers related to cost or daily gallons have come up yet, he said that Hamilton is looking at an idea that could have it reserving a specific amount of space within Purcellville’s wastewater system, rather than paying for service on a gallon-by-gallon basis. He said that option could prevent Purcellville from kicking Hamilton out of the system if it ever grows and needs more capacity for its own residents. “We’re not like a homeowner, we’re not going to be giving them just a little bit,” he said. As for connection fees and sewer rates, and to whom Hillsboro and Hamilton residents might address their bills, Vance and Simpson said those details have yet to be worked out. “That’s a point that still has to be examined,” Vance said. If Purcellville charges the towns its out-of-town sewer rate of $30.98 per 1,000 gallons—which is $23.63 more than what Hamilton’s in-town sewer rates are—it could pull in $452,308 annually in wastewater fees from both towns, provided they flow a combined 40,000 gallons per day to Purcellville. Purcellville could also reap the benefits of revenue from wastewater connection fees from the towns. The current out-of-town fee to hook up to a 4-inch meter is $1.08 million. 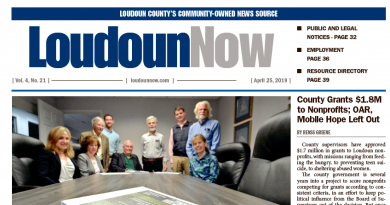 While sharing a wastewater system seems like a neighborly offer at the outset, it does raise some concern when considering increased growth in western Loudoun. Although the installation of new sewer lines could prompt developers to attempt building new communities along pipelines, Fraser, Simpson and Vance said that if the partnership does come to fruition and sewer lines are installed, it would not be an invitation for growth. Simpson said that the towns could discourage that type of growth by limiting the flow to exactly what they need—no more and no less. “However we did it, we would make sure that it couldn’t be used for growth,” he said. Vance agreed, noting that the system would be designed so that no user other than the towns could tap into them. “What nobody wants, and what nobody’s interested in, is seeing this be an opportunity for more development between the two towns,” he said. Fraser mentioned at his State of the Town address on Feb. 11 that Town Attorney Sally Hankins had been looking into an idea to secure permanent easements to prevent growth along pieces of land where sewer pipes could be installed. In addition to providing Hillsboro and Hamilton with updated wastewater systems at an affordable rate and providing Purcellville with added revenue, Vance said that the project could also encourage a bit of increased connectivity between the towns through a reinforced partnership. He noted that countywide trail systems, like the county’s proposed Emerald Ribbons initiative, could correspond with the wastewater project. “It has, I think, great potential for being a positive for all of us,” he said. “My concern is to ensure we don’t do anything to encourage growth in the rural areas between each town,” he said. Supervisor Geary Higgins (R-Catoctin), whose district includes Hamilton, said he needs to know “a lot more about the details and legal ramifications” of the initiative, noting that he’s concerned about it potentially opening western Loudoun up to increased development. “If there is a way to accomplish the hook-up without doing that, the idea may have some merit,” he said. Moving forward, Simpson said that he and members of his staff would be meeting with Purcellville staff this Thursday to discuss matters further. Vance said that he would be looking to meet with representatives from the county, Loudoun Water and Purcellville to ensure that the project could actually happen.